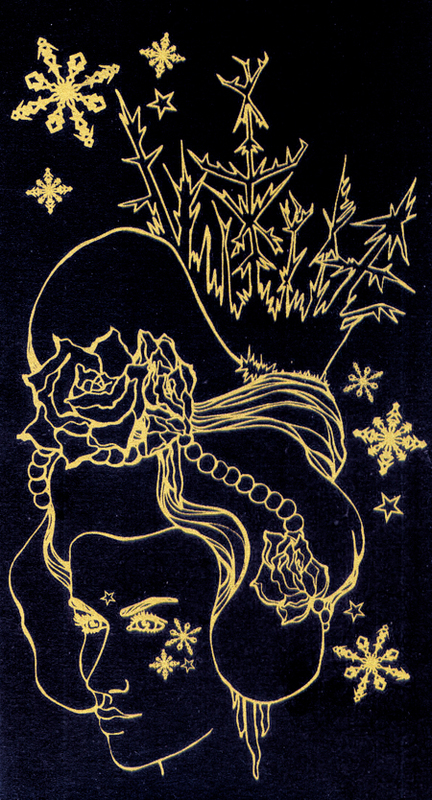 This is my latest Lady Luck miniature screen print designed for the New Year and is titled “Snow Queen” -gold ink on midnight navy blue for deepest contrast, like winter sunshine on freshly fallen snow. 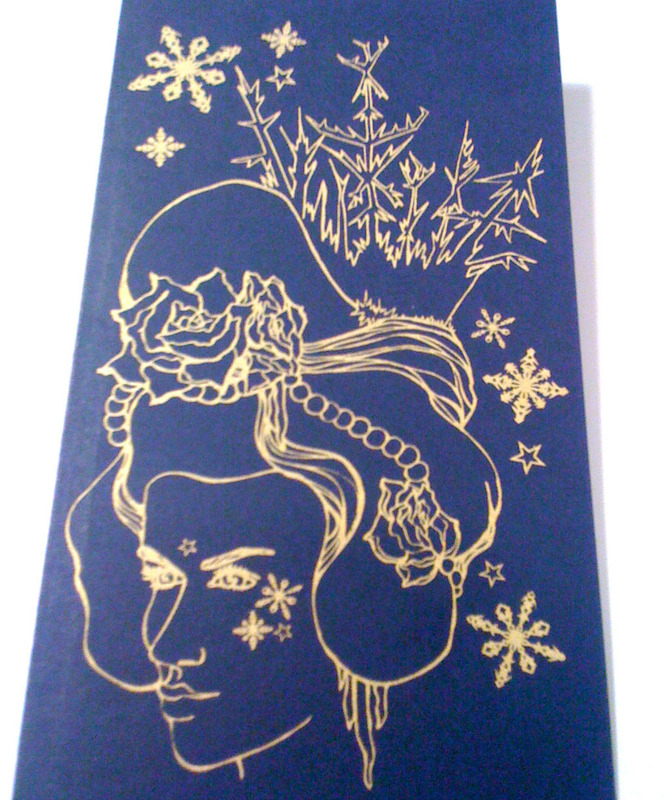 Currently being sent out to selected clients and art directors, apply for one baby! -the only entry requirement? you have to have survived this icy-winter with no frostbite and minimal icicle damage…ouch! To be in for the win drop a comment below! 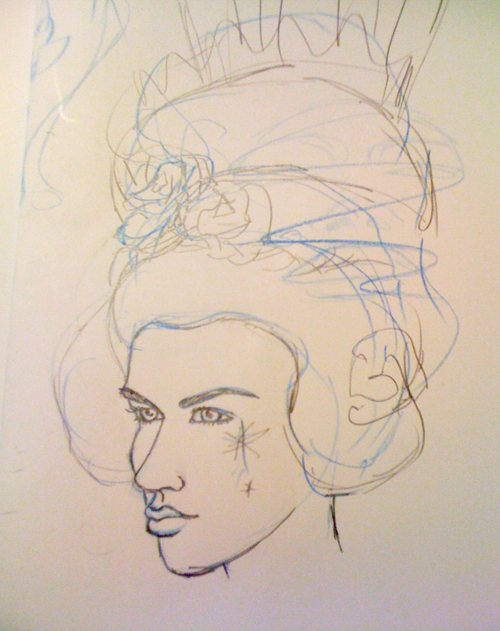 Initial quick rough concept sketch handily originally drawn in icicle blue! 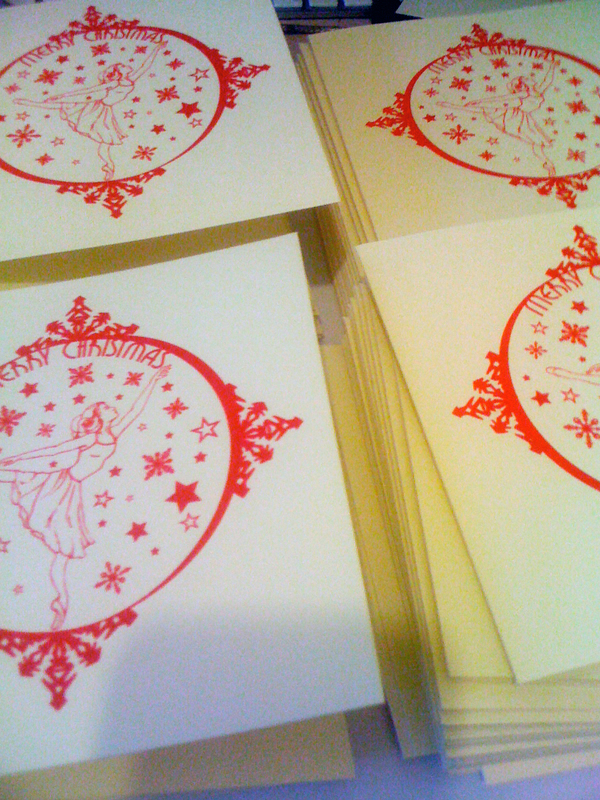 Screen printed Illustrated Christmas Card!